A rapidly consolidating industry. One that generally delivers on very difficult work, but with such a horrible customer-service reputation that people hate dealing with it. Known for wringing every last dollar out of its customers. You and the person next to you may be paying wildly different prices. Health care, or an airline? It’s a common comparison, and not without merit. Harvard doctor and researcher Ashish Jha invoked the metaphor last year, in response to a non-profit hospital telling investors that it was trying to boost admissions: “Every extra passenger they can squeeze in is profit,” Jha said. The bottom line: In all seriousness, this analogy does get at an underlying problem with health care: As much as providers love to talk about new payment models, volume is still king — it’s simply too lucrative to give up. The way we pay for medical care is changing. In this second episode of a two-part podcast series with Karen Joynt Maddox, MD, MPH, of Washington University in St. Louis, she delves into the unintended consequences of alternative payment models. She has also written in the New England Journal of Medicine on the topic here. Perry: … In your editorial, you mentioned that some of these quality metrics can have the unintended side effects of resulting in underutilization for vulnerable populations. Can you elaborate on that? Maddox: Yeah, so there’s a couple different ways that policies can have negative impacts, and actually, harkening back to a prior question about “Did we roll these out in a systematic fashion and study their effect?” No. When policies are rolled out, we sometimes look for efficacy, we rarely look for unintended consequences, which we’d never do with a drug or a device or something else we were putting out into the ether. If you imagine that every policy is going to have both positive and negative effects just like a drug would or a device would, you would never approve … a medication that reduced heart attacks if it increased bleeding by six times the amount it reduced heart attacks or increased mortality. We don’t actually hold policies to those same standards. We don’t even measure the positive and negative effects. 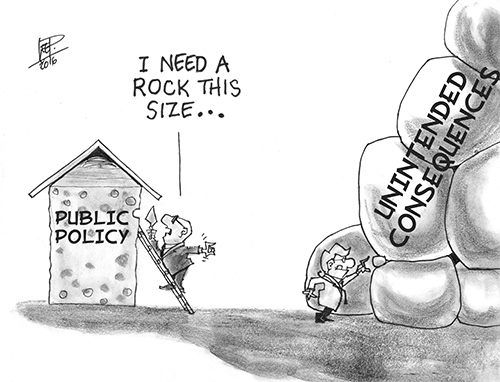 What are the negative effects of policy? I think there are a few. First, there’s risk aversion. That can be seen in a number of ways. Your example of having a sick patient who was having these complications raises questions of risk aversion. Would that person even have gotten access to a cardiac procedure if someone was very worried about what adverse outcomes were going to be tracked and then paid on? The concern would be that if we put a lot of money behind PCI [percutaneous coronary intervention] outcomes, mortality after PCI, and we don’t adequately account for how sick or how poor or how vulnerable certain patients are, hospitals are going to look bad, lose money, have negative billboards about them on public reporting for no fault of their own. It’s just not going to be fair, and it will create risk aversion. But then someone is going to say, “We really shouldn’t be doing caths on high-risk patients because we’re just going to get in trouble for it. We really shouldn’t be taking on these people who are going to bleed, because if we have to give them a transfusion, our quality is going to look bad.” That means you’re closing off access to an entire group of people who very well could benefit from a procedure. That’s an obvious unintended consequence, so risk aversion is a big one. Closely linked to that is the consequences of taking care of very sick patients and then being penalized. If risk adjustment is inadequate, then hospitals that take care of really sick patients are going to look a lot worse than they really are, and hospitals that take care of a lot of really simple patients are going to look better than they are, and you’re going to move money all over the country based on severity of illness as opposed to quality of care. Perry: Could we actually spend a minute and maybe dig into some of the minutia on that, because I think that’s an important point about different hospitals, different locations, serving different risk populations. How does CMS [the Centers for Medicare and Medicaid] currently adjust for risk currently, because my impression is that the attempt to adjust for your baseline risk is, perhaps, insufficient as how it currently stands? Maddox: I would agree. Now when you think about the things that we measure hospitals on, some things shouldn’t be risk adjusted. Those are the easy ones. Aspirin for a heart attack. I keep going back to that one because it’s just such a basic quality of care element. It doesn’t matter if you’re poor. It doesn’t matter if you’re black or Hispanic. It doesn’t matter if you’re frail. If you don’t have a contraindication to aspirin and you are having a heart attack, you should receive aspirin. We don’t have to risk adjust that. You can exclude people who have just had a bleeding ulcer. But if you qualify for the measure, you should receive the quality measure. That’s standard care and there we don’t need to adjust. We just need to hold people to high standards. Maddox: When you move one notch down the line, now let’s think about something we consider an intermediate outcome, so diabetes control, hypertension control. Clearly that, to some degree, is controlled by the clinician. I decide whether or not I recommend someone get insulin or I titrate up their calcium channel blocker or I add on some other agent. It’s also under control of the patient, and it’s also partly determined by how sick the patient is to begin with. It’s pretty easy for me to control high blood pressure in someone who started out with a systolic pressure of 142. I have many, many choices. Almost no matter what I do, I can get that person under better control. That’s very different than a dialysis patient who’s had 15 years of persistent resistant hypertension like the gentleman I admitted this afternoon who comes in with a blood pressure of 260 systolic. Me getting that guy down to a controlled blood pressure would take probably some sort of divine intervention. Maddox: In addition to a whole lot of hard work on his part and his dialysis facility. It’s a complex undertaking. Now we should all be working together to do it, but if we don’t take into consideration the fact that treating those two people was very, very different, we are going to not really be looking at quality. We’re just looking at how sick the patient is. If you take that one step farther to something like readmissions, which is largely a product of what happens to someone outside the hospital walls and has a ton to do with social determinants of health and access to care and access to exercise and food and the ability to afford medications, you can sort of see how the farther away from a clean process measure you get, the more the ultimate outcome is driven by things out of your control. If we don’t take into account the things that make those patients different, then we’re not really measuring quality. Right now, CMS does, I think, a reasonable starting point job of trying to control for risk. When they look at a patient, they have claims. They don’t go talk to the patient. They don’t know where they live. They don’t know if they can read. They don’t know if they speak English. They have claims, and so they use the claims to try to adjust to the degree they can for outcome measures. They don’t actually adjust process measures or those intermediate measures, but for outcome measures, they do. If you take something like readmission, they make a logistic regression model and it has patient characteristics on it. Age, gender, whether or not there’s a history of kidney problems, whether or not there’s any history of liver disease, sort of a list of things. There’s somewhere between 70 and 80, depending on which list you’re using, which year. Those elements all go into a risk-adjustment model. With something like in-hospital mortality, you can actually do a pretty good job of risk adjusting. We think about C-statistics and we think about logistic-regression models. You can get a C-statistic in sort of the 0.8 range. 0.5 would be a coin flip. You’re right half the time. The C-statistic basically compares the probability that your model said something would happen with whether it did or didn’t. 0.5 would be coin flip — model didn’t do anything beyond random. Under 0.5 would be the models worse than random. 0.8 is pretty good. You get some ability to differentiate. For readmissions, the models are closer to 0.6, so just better than a coin flip — probably because so much of what matters to readmission is things that we’re not measuring and whether or not someone has kidney or liver disease, but it’s where they live, do they have access to care, all the things that we just talked about. You can also imagine that the models work pretty well for people in the middle of the distribution. They do not work well for people who are very sick. A yes/no diabetes, a yes/no kidney function is only going to predict a certain level of risk. We both know from rounding in the hospital that you have people who are at exorbitant risk. They have really poor functional status. They have comorbid substance abuse disorder. They have extreme frailty. They’re institutionalized, whatever the stuff is. Or they’ve had seven admissions this year already for heart failure. The models don’t account for that. What the models typically fail to do is account for that type of risk. If you had two 75-year-old men, one with diabetes and one not and they otherwise looked the same, the models would be completely adequate. That’s not who we serve, and so right now the models do a reasonable starting point job, but they’re, I don’t think, anywhere near where we need to be if we’re going to actually predicate millions of dollars moving around the country based on them. We’re really lacking sort of the basic science of risk adjustments in some ways. We’re running logistic regression models because they were the height of technology in the early 2000s. We’ve not moved forward with this data management and data use and modeling in the same speed with which we’re moving forward in devices and cloud-based technologies. We can do crazy things for people, but we can’t systematically measure hospital quality well, yet. I think we really need this sort of big data movement that’s happening. There’s a lot of hype around artificial intelligence and natural language processing and these sort of buzzwords, but somewhere in that hype is real improvement in how we manage data and how we measure quality and how we measure patients, how we compare them to each other and how we use what we know about patients to measure quality and ultimately to incent quality, right? This shouldn’t all be about being punitive. It should be eventually about feedback and improvement and let’s get everyone high-quality care. I hope we’re going to move into quality measurement 2.0 or 3.0 or whatever we are as we move into these payment models, because the more money we put on the line, the more important it is that we avoid unintended consequences and the bigger those unintended consequences are ultimately going to be if we don’t start doing this a little better. Perry: Gotcha, okay. Thanks. Now I think I had interrupted you when we were discussing about how these bodies measuring quality outcomes have kind of led to an underutilization. There was one paper that you had cited in your editorial about I think it was specifically about myocardial infarctions in New York and I think they used PCI during that time. Could you give us a summary of what that study showed? Maddox: Yep, so when someone is coming in for a PCI, it’s a decision whether or not to give them or not give them the procedure. It’s not like when someone gets admitted for heart failure. They kind of show up and they get admitted and that’s that. You have to select into getting a PCI. Someone has to give it to you. In the mid-2000s in Massachusetts, earlier than that in New York and Pennsylvania, there was a big public reporting push. This is actually pre pay-for-performance. This is all just public reporting. Maddox: Hospital performance, and in some cases, individual interventional cardiologist performance was posted on a website for PCI. We did a research project looking at over time in Massachusetts when this program went into place, and then looking cross-sectionally in New York, Massachusetts, and Pennsylvania versus other states, what did people do in response to that program? What we found is that people got risk averse. The rates of use of PCI for people having heart attacks dropped off significantly in Massachusetts when they started publicly reporting performance. The people who stopped getting the access were the sicker ones. I think it’s hard to think about how as a physician you would turn away someone who needs something. Certainly, my experience in seeing that and coming to Massachusetts as a fellow from North Carolina as a resident where there were no such pressures was what led us to start thinking about this project, because it really was pretty emotionally striking to see that people weren’t getting access to this procedure because of the concern about their publicly-reported performance. But then I saw on the front page of the Boston Globe, Massachusetts General cath lab closed because of performance report. Then BI, Beth-Israel, cath lab closed because of performance report. In both of those cases, once they did the deep-dive into why the mortality rates had exceeded their threshold for saying that there was bad things going on, it was because they had accepted very sick patients as salvage from other hospitals who had tried to save them and had been unable to do so. Those deaths counted against them and their cath labs were then shut down for quality-improvement purposes. They were ultimately found to have no wrongdoing, but it was extremely disruptive, canceled our cases. You’re on the front page of the Boston Globe being outed as this low-quality program when, in fact, that wasn’t true in either case. But that is the effect of making even very, very good people very risk averse. Massachusetts has actually done a lot of good work in trying to make their risk adjustment models better and in trying to carve people out of those programs, so if someone is coding, they’re no longer counted against you. Things like that to really try to be thoughtful about how we can use these programs to measure quality but try to reduce the unintended consequences that goes along with them. They have seen the rates start to go back up. New York has done some similar stuff with shock, having shock as a separate category and not counting folks in shock against you for doing PCIs. And they’re seeing a rebound in the proportion of patients having access to that procedure. In public reporting, in this case, I think was so dangerous because it was so specific. It was a single procedure. It was attributed to either a hospital or even a person. Many of the other pay-for-performance programs are so broad, I think they are probably both less powerful in incenting change and less dangerous. If you’re looking at a hospital program, value-based purchasing, for example, it’s got multiple domains. It’s looking at multiple different conditions. It’s got 26 measures or something like that. No one of those measures is going to be driving someone’s behavior to try to keep someone out of the hospital or to try to be sort of guarding against performance, whereas a very targeted program like public reporting and public shaming for PCI, I think, really probably had some pretty profound negative consequences. It also really drove people to work on quality. It was a program that terrified lots of people, so that’s the tradeoff. It’s where do you draw the line between trying to incent quality and doing things that are really going to change access and hurt patients. What ultimately should be the goals underpinning every single one of these programs should be how can we use these financial incentives to drive better outcomes for patients? If we don’t look for the unintended consequences, we’re going to miss that. If you don’t give PCI to sick people, your mortality for PCI looks great. These are not easy things to think through. For a bunch of policymakers in D.C. or Boston or Jefferson City or wherever, who are not clinicians, it’s not easy. Health care is complicated as we learned. It’s actually not easy to think through what the best way to design these programs is to really try to move the needle on quality and say, “We do not accept substandard care,” while at the same time not hurting providers that care for vulnerable populations or those patients themselves. Perry: I’m going to ask, probably, an impossible question, but if you could rewrite how hospitals are reimbursed starting from scratch, throw away everything that we have now and just say, “Some magical person is going to reimburse the hospital to ensure the best quality,” how would you write that? How would you design that? Then maybe later we’ll talk about what things are being done now on a local and national level. Maddox: I’ll give you two scenarios. One scenario under our current health care system, meaning that hospitals have all the money and the power, and most decision-making around healthcare that really impacts healthcare dollar is still directed at hospitals and one scenario in which we would actually rethink the system entirely. Conditional on the current system, I think we could do a lot with the quality programs to make them more equitable and to make them have stronger positive effect and weaker negative effect by doing things like rewarding improvement, which is done in some programs, but not all, by judging hospitals against their peer groups as opposed to assuming that we can judge large economic centers against small rural centers against small safety net hospitals in the south versus big urban centers. Those are not all the same. The patients are not all the same. We don’t have the data, as we discussed, to adequately risk adjust, so we need to make some decisions about what fair comparison would look like. Within the current system, I think we could make things better just by being more thoughtful about how we make comparisons and how we drive quality, and then putting money behind that to incent people to actually do something about it. But ultimately, why do we care about readmissions and not admissions? Why do we care about bleeding after a PCI and not whether or not someone had a heart attack in the first place? The reset to how we really ought to be trying to do this is incenting more care out of the hospital. We should be trying to keep people out of the hospital, for one thing. There’s no reimbursement for the kinds of sort of multidisciplinary team-based care that we know can help people who are chronically ill. Until recently, there was almost no reimbursement for telehealth. We sort of grossly underutilized community health workers and other low-cost ways that we could really start to improve health in the community to keep people out of the hospital. A payment program that focuses on a hospital is never going to succeed in keeping people out of the hospital. You wouldn’t pay Apple to not sell people iPhones, right? That’s both odd and actually highly economically inefficient. You’re paying to not do something. Many of these programs that start to shift towards alternative payment models are functionally saying we’re going to pay you not to do things. That doesn’t make a ton of sense to me. Maddox: But reimagining the system as one that rewards health is not so simple because it probably involves taking a lot of things out of the hospitals. Why does someone have to come to the hospital and stay in the hospital when they have heart failure? In Australia and in a few other countries, there’s a lot of use of what they call it hospital at home. When you think about our heart failure patients that we see for 5 minutes every morning, and then they diurese all day long, and we check a lab in the afternoon, and then we see them for 5 minutes the next morning. There is no reason they couldn’t be doing that in the comfort of their own home with some sort of a patch taped to their chest that gives us their telemetry monitoring with labs being drawn a couple times a day, with the nurse visiting to help out. That would be fundamentally disruptive to the system in the kind of way that would promote all sorts of cost reductions and probably much happier patients and better outcomes, certainly a lot less of in-hospital infectious disease transmission. But there’s absolutely no reason that a hospital would ever sign up for that program unless we change how they’re paid. Perry: It’s because it’s eliminating the cost for the bed in the hospital itself is the most expensive thing. The nebulous bed, whatever it is so magical about that really uncomfortable, poorly-functioning bed. Maddox: What if you have a heart failure, I keep using heart failure as an example. I should think of something else. Let’s say you’re a dialysis facility. Why do you not have a monitor at every patient’s home on their scale or something that tells you when people are missing dialysis or when their weight starts to go up or if their potassium is 6 and lets you do something about it, that lets you get people in early if you need to or postpone? Maybe not everyone needs exactly the same amount of dialysis three times a week. Why when we’re monitoring our diabetics do we say, “Come back in a year or come back in 6 months?” There’s no basis for come back in a year or come back in 6 months. This is an incredibly diverse group of people that need different management strategies. Some need intensive weight loss. Some need counseling on nutrition. Some need a ton of insulin. Figuring out how to sort of manage people to keep something bad from happening requires a total rethinking of how we actually deploy health resources. It’s probably not a lot of doctor time, for one thing, which is obviously the most highly reimbursed thing. It’s probably not as much hospital time as we have right now. I think the industry is moving in that direction, so if you follow the JP Morgan health conferences and the Amazons of the world and the business side of the world is coming out and saying, “This is crazy. This system is insane.” We’re paying just absurd amounts of money to support this infrastructure that for a lot of what we do isn’t necessary. Every time someone comes to the emergency department and gets treated for something that doesn’t need to be in an emergency department just gets paid. Part of that payment is going to the fact that there’s an ECMO team on call, right? That’s part of the fixed cost of maintaining a big academic medical center. There’s a helicopter. All these costs are built in to so much that we do that the hospital, then, is sort of required to pay for all of that fixed cost to provide a set of services that are essential. But somewhere in there is a real loss of efficiency, because we’re no longer connecting services to cost to prices to people. It’s all just sort of the system we have built right now, and it doesn’t make a ton of sense. Perry: They just pay the cost of the hospitalization themselves. Maddox: They just pay for what happens, so they’re essentially acting as the insurer and they have a middleman processing claims, but they essentially take on all the financial risk. It makes more sense for most big companies to do that. Their incentives are therefore in line to keep people out of the hospital and to say, “You can have your MRI at a community-based MRI building that will charge you $500 instead of $3,500 to go have it in the hospital where all these extra sort of fixed costs are built in to the payment for that.” That kind of disruption is not going to come from payment models from Medicare, ultimately. It’s going to come from disruptions in industry and in innovation from some of the payers and potentially from patients who are increasingly recognizing this is not a very patient-centered system, and I think appropriately demanding a more holistic patient-centered approach to how this is all going to work. But that’s the many years down the road of how a health system could be better, and in the short term, we’re living with the system that we’re living with, so we need to work on this one while we look toward the future for someone to really dismantle it. Perry: What are things that are being done now? Maddox: Some of it I mentioned. Some of the real innovative, some of the real disruptive stuff, who knows what Amazon and Berkshire Hathaway or whoever else will do. I think Medicare is in a bit of a holding pattern right now. They had been pushing towards more alternative payment models. They have now more and more financial incentives for people that get into these alternative payment models. That would be something like a bundle or an accountable care organization where you’re on the hook for spending for a year, which then gives you incentive, obviously, to reduce spending. They had planned to push out a lot of experimental models from the innovation center, from the Center for Medicare and Medicaid Innovation, or CMMI. A lot of that got put on hold when we had a secretary of HHS [Health and Human Services] who then was no longer the secretary of HHS, and the initial secretary under this administration, Tom Price, as the surgeon, had been a very outspoken opponent of essentially meddling with the doctor-patient relationship. He had done all these payment models, all these changes, anything that gets in the way of doctors making decisions independently about what they’re going to do is not okay. His big thing was to rollback a lot of this type of stuff. The good thing that comes out of that is that people are thinking a little more consciously about burden and about the burden that we’re putting onto clinicians by all these measures and payment models and all this sort of stuff, when most people just want to take care of patients. But the bad thing that came out of it was a real slowdown in what was coming out of CMMI around testing some of these things. In contrast to what a lot of the policies have been in the early 2000s and through the early teens, the last administration put a big push over the last term, basically, around trying to use this innovation center as a test ground, so to do what you had suggested. Let’s roll this out in a limited sense. Let’s learn. Let’s figure out what works and what doesn’t, and if things work, then let’s push them out more broadly. A lot of that stuff has slowed down. The ones that had already started in the prior administration are still running, so there’s some neat models for cancer care, for dialysis, but we haven’t seen much new coming out of them. There’s now a new head of HHS who has actually been quite outspoken about the need to keep moving toward value in health care. Also pushing burden reduction, which I think is good, and a new CMMI director was just named. We’ll see in the next year whether or not we start to see more of these experimental kind of models coming online. I think one thing that has been really lacking in the development of these models is the engagement of the physician community, I should say not just the clinician community, not just physicians, but also nurses, therapists, all the sort of people that make up the clinician community have really not been involved in developing most of these models. We can sit here and say, “That model sounds crazy,” but if clinicians haven’t sort of stepped up to be part of it, it’s not clear why a policymaker would know that sounds crazy. That, to me, sounds much, much more reasonable than some of the stuff that has come out policy-wise that basically says here’s a Frankenstein payment model that’s going to pay you 1% more for sending in data on one of 270 quality measures, which is what the current outpatient payment program is. I think getting clinicians involved in actually designing things that incent innovation, that free up money to invest in monitoring or nurses or whatever we think as a group will make our patients better would be good. I just don’t know if this next year will show us moving in that direction or not. We’ll have to see what this group decides to do. Perry: A lot of interesting ideas and things to chew on. I appreciate it. I want to be respectful of your time. Thank you so much for meeting with me. Maddox: Sure, I always glad to talk about this stuff. Sometimes I wish it were less of what we had to deal with when we’re rounding or when we’re in the hospital or when we’re seeing patients in clinic, but ultimately, this stuff really does impact clinical care, so I feel lucky that I get the chance to work on it and think about it and hopefully help be part of the solution. Perry: Thank you so much. Perry: To recap from today, we learned about how quality payment models have had an unintended consequence of limiting access to care for some vulnerable populations. Specifically, we discussed about the example of cardiac cath in Boston in the 1990s, when after quality measures had been reported publicly, it then resulted in hesitancy from providers to offer cardiac caths to their sickest patients. I think this is an important issue and I’m glad I was able to have the time to discuss with Dr. Maddox about some of the details of this. I hope you found it as useful and as interesting as I did. Thank you for listening to today’s episode and we’ll see you next time. As an alternative payment model, bundled payments hold the potential to improve the value of care by holding clinicians and organizations accountable for episode-specific quality and costs. Medicare has scaled bundled payments nationwide via several programs that define episodes based on hospitalization and up to 90 days of post-acute care. 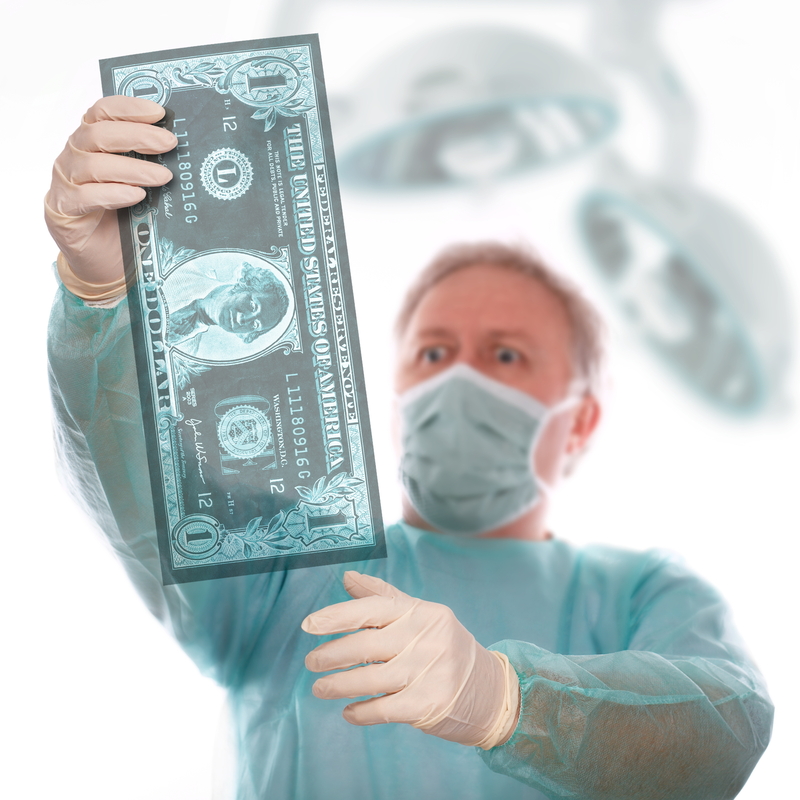 However, the impact of bundled payments appears to differ between surgical and medical episodes. On one hand, Medicare has achieved promising results from bundling surgical care for lower extremity joint replacement. Medicare’s evaluation of its largest national bundled payment program, the Bundled Payments for Care Improvement (BPCI) initiative, has demonstrated that participation in joint replacement bundles is associated with a 3.8 percent decrease in per-episode spending with stable-to-improved quality. Other work evaluating the experience of high performers in BPCI demonstrates that bundled payments may reduce the costs of joint replacement episodes by up to 20 percent, with sizeable bonuses to physicians and hospitals and small improvements in quality – outcomes that, if scalable, would represent a win for patients, clinicians, organizations, and Medicare alike. On the other hand, recent evidence corroborates analyses conducted by Medicare and its contractor, suggesting that as designed, bundles for medical conditions such as congestive heart failure (CHF) and chronic obstructive pulmonary disease (COPD) are not associated with significant changes in quality or Medicare spending. Therefore, one critical aspect of understanding the impact of bundled payments is evaluating how and why it differs for surgical versus medical care. This insight is particularly important given that surgical and medical episodes will be further expanded at a national scale in the forthcoming Bundled Payments for Care Improvement Advanced (BPCI-Advanced) program. In this post, we describe why the lack of episode savings in Medicare’s medical bundles may not be unexpected, why policymakers should not abandon medical bundles, and why existing evidence poses three important policy implications for the future of medical bundles. By designing bundles that span hospitalization and post-acute care, Medicare has emphasized reductions in post-acute utilization and spending as major financial savings opportunities. While this approach suits surgical care in which a procedure triggers a cascade of acute and post-acute care, it may pose several challenges for episodes related to medical conditions. First, spending patterns for surgical versus medical care differ, more predictably spiking after surgical procedures but adopting a more cyclical pattern for chronic medical conditions. Accordingly, hospitalization may be more appropriate as an episode trigger for surgical episodes than for medical ones. In surgical care such as joint replacement, hospitalization is a clear, distinct trigger before which there would be no expected episode-related utilization (e.g., little to no joint replacement-associated services prior to the surgery) and after which there is a distinct cascade of related utilization (e.g., physical rehabilitation, wound care, and post-surgical follow-up). In contrast, hospitalization only represents one aspect and phase of management for medical conditions such as CHF and COPD, which span outpatient, inpatient, emergency department, and post-acute settings over longer periods. Second, physicians’ and hospitals’ ability to impact post-acute care utilization and spending may differ between surgical and medical episodes. This difference is not simply a reflection of the proportion of total episode spending paid to institutional post-acute care providers. For example, spending on skilled nursing facilities and inpatient rehabilitation facilities was only marginally higher for joint replacement compared with five medical conditions (26 versus 24 percent, respectively). Rather, differences in the ability to impact post-acute care utilization may relate to the types of services provided in institutional post-acute settings for surgical versus medical patients. For surgical episodes, care at skilled nursing facilities often involves discrete, time-limited activities such as physical rehabilitation to achieve post-surgical recovery (e.g., strengthening, functional improvement). In contrast, given the natural history of diseases such as CHF and COPD, institutional post-acute care services for medical patients generally involve complex tasks such as medication management(e.g., diuretics) and multifaceted occupational therapy to promote self-care and activities of daily living. Consequently, hospitals in surgical bundles have achieved savings without compromising quality by shifting discharges from skilled nursing facilities and inpatient rehabilitation facilities towards home, with either home health or self-care. However, it remains unclear if similar efforts are possible or appropriate for the types of post-acute care that are often required as part of medical bundles. In turn, discharge patterns in medical bundles may reflect the less predictably defined roles of institutional post-acute care providers. Another reason that shifting discharges away from institutional post-acute care providers may prove challenging under medical bundles is that they involve different types of patients than those often involved in surgical bundles. As noted recently, patients in medical bundles tend to be older and at higher risk for poverty and disability than patients in joint replacement bundles. In turn, patients receiving care for medical conditions may have greater clinical needs during and after hospitalization than patients undergoing surgical procedures. Collectively, these dynamics offer insight into why clinicians bundling care for medical conditions have not achieved savings in BPCI. They also have implications for the design of medical bundles going forward. First, Medicare could consider modifying when and how medical episodes begin. Rather than being a necessary pre-condition for an episode, hospitalization itself may be a modifiable element of variation in medical conditions. Consequently, unlike in surgical procedures, using hospitalization as a medical episode trigger may miss the opportunity to include cost and utilization variation across the care continuum. As an alternative, if medical episodes were triggered in the outpatient setting – for example, after two specialty office visits within one month — provides might be better able to coordinate medical bundles with other efforts to improve value (e.g., payment models such as accountable care organizations and policies such as the Hospital Readmissions Reduction Program). Second, Medicare could design medical bundles so that the emphasis on improvement is not restricted to care delivered in the post-discharge period. While variation reduction is not an absolute requisite for performance in bundled payments, care standardization remains an important organizational strategy for improving episode-based care. Creating incentives to focus on outpatient and pre-discharge elements may be particularly fruitful for medical bundles given the complexities of ongoing (in the ambulatory setting) and acute (in the hospital setting) management, and the possibility that practice redesign may require more time and greater effort than in surgical episodes. Third, more data are needed to understand the impact of medical bundles and how best to design them in the future. To date, we have only early evidence about the impact of medical bundles in BPCI (the mean number of months of BPCI participation was 7 months for these hospitals). Given that other alternative payment models such as accountable care organizations have required three or more years before participants achieved savings, medical bundled payment policy should be guided by longer-term evaluations. Such evaluations should also closely monitor the programs for unintended effects: while it may be reassuring that medical bundles have not appeared to inadvertently lead to more readmissions or emergency department visits, vigilance is nonetheless required given the history of racial disparities in access that stem from quality- and value-based policies. Finally, future work can speed progress towards improvement by providing more detailed descriptions of the utilization and spending patterns of patients involved in medical bundles, as well as highlighting the experiences of high-performing providers. While existing evidence suggests that medical bundles may not improve the value of care, these findings are not necessarily unexpected, and policymakers should not abandon the effort to bundle the care of medical conditions. Instead, in addition to more long-term evaluations, the design of medical bundles may be improved in the future by modifying how they are triggered and which phases of care they capture. On June 20, 2018, CMS and HHS issued a “request for information” (RFI) seeking input on strategies to reduce the burden of the federal physician self-referral law or “Stark Law,” including the law’s impact on the transition to value-based care. In the RFI, CMS solicits information on the ways in which the Stark Law creates challenges for coordinated, value-based care, and the transition to alternative payment and delivery models; it also seeks ideas and input on how the Stark Law may be changed to facilitate these models. The RFI is launched as part of the agency’s “Regulatory Sprint to Coordinated Care” led by HHS Deputy Secretary Eric Hargan, which is directed at addressing regulatory barriers to coordinated care. As such, the Regulatory Sprint and the RFI represent the administration’s efforts to reduce regulatory burden, while also demonstrating a commitment to the transition to more value-based, coordinated care and risk-based payment. In public statements, HHS and CMS officials have suggested that the Regulatory Sprint may support similar flexibility in other laws, including the Anti-Kickback Statute. Although the agency does not commit to any specific regulatory changes in this document, it is notable that HHS issued a similar RFI in 2010 just before it issued sweeping waivers of the Stark Law and Anti-Kickback Statute for the Medicare Shared Savings Program. While many of the questions focus on “Alternative Payment Models” under the Quality Payment Program, the RFI is not limited to these programs. Instead, the RFI invites the public to propose new exceptions and revised interpretations of the statute to advance the goals of coordinated care. Requests for information on the Stark Law’s compliance cost, the potential role of increased transparency to promote compliance and how CMS should assess the Stark Law’s effectiveness in achieving its underling policy goals related to improper financial incentives. The RFI may represent an important opportunity for the healthcare industry to educate CMS on current experiences and challenges, and to shape the content of future rules implementing changes to the Stark Law, particularly in a time of industry integration across the continuum of care. The RFI also offers tangible evidence of the administration’s commitment to continue a migration to value-based care, and potentially reflects an enhanced commitment and desire to migrate away from fee-for-service payment to arrangements involving financial risk. While uncertainty and debate about health care reform remains, there is near-universal agreement on the need to improve care delivery and health outcomes and decrease the rate at which spending continues to grow. An underrecognized but crucial component to achieving these goals is redesigning care for “high-need patients”—in other words, the small cohort of patients with complex needs who represent the greatest usage of the health care system. Currently, 1 percent of patients account for more than 20 percent of health care expenditures, and 5 percent account for nearly half of the nation’s spending on health care, according to the Agency for Healthcare Research and Quality. Driving these costs for high-need patients are the functional limitations that impact patients’ daily living and ability to cope with health challenges, leading to their use of health care and social services that are often too late and poorly matched to their needs. A 2014 survey conducted by the Commonwealth Fund found that high-need patients are highly susceptible to lack of coordination within the health care system and are more likely to experience cost-related barriers to accessing care, compared to other older adults. A 2016 Commonwealth Fund survey found that nearly two-thirds of high-need patients reported hardships with housing, meals, or utilities and that this population was also more likely to report feeling socially isolated, compared with the general adult population. Providing quality care for these high-need patients is a sizable challenge—yet it’s also an area where strategic attention and investment could yield significant payoffs for patients and the entire health system. Indeed, a number of health systems have designed successful models that leverage an understanding of the unique characteristics of high-need patients to deliver quality care at sustainable costs. Focus of service setting. Successful models tailor their care settings for either a targeted age group with various combinations of illnesses or individuals who use a significant amount of care. Examples of care settings include enhanced primary care, transitional care, integrated care, home-based care, and others. Care and condition attributes. Successful models include practices such as targeting patients most likely to benefit from an intervention, coordinating care and communication among patients and providers, promoting patient and family engagement in self-care, and facilitating transitions from the hospital and referrals to community resources. Delivery features. Successful models often feature the use of care managers alongside primary care providers to identify and work with high-risk patients. In addition, they often put high-risk patients under the care of specific physicians who treat a limited number of patients to enhance communication and adherence. Organizational culture. For care models to be successful, organizations must emphasize leadership at all levels; be capable of adapting based on the size of the program and local circumstances; offer specialized, customizable training for team members; and effectively use data access, sources, and application. In 2012, Denver Health—an integrated system that includes an acute care hospital, all of Denver’s federally qualified health centers, a public health department, an emergency 9-1-1 call center, a health maintenance organization, and several school-based health centers—set out to create a new care model and transform its primary care delivery system by providing individualized care that would more effectively meet medical, behavioral, and social needs for its largely low-income population. In designing its 21st Century Care model, which included modifications to better serve its high-need patients, Denver Health’s goals were to improve the experience of care, improve the health of populations, and reduce per capita costs of health care. Early in its implementation, a fourth goal also emerged: improving provider engagement and creating healthier and happier patients. With support from a Center for Medicare and Medicaid Innovation award, Denver Health was able to redesign its health teams and invest in health information technology to enable population segmentation and categorization of patients by clinical risk groups. Funds were also spent on rapid evaluation efforts to refine the care model’s design. The new model matched care delivery to four risk tiers. Healthy individuals were assigned to tier one and interacted with staff using Denver Health’s eTouch text messaging platform. Individuals in tier two received additional chronic disease management, such as lay patient navigators, nurse care coordination and home visits, and environmental scans for children with asthma. For patients in tiers three and four, integrated behavioral health assessments and care were standard, as was the inclusion of nurse care coordinators, clinical pharmacists, and clinical social workers as part of the care team. For patients in tier four, Denver Health relied on specialized intensive outpatient clinics to serve as adult patients’ medical homes or multidisciplinary special needs clinics for high-risk pediatric patients. Targeted toward individuals who had experienced multiple potentially avoidable inpatient admissions within one year, care teams in these clinics included a dedicated social worker and navigator, and teams were responsible for a limited number of patients. This clinic also worked closely with the Mental Health Center of Denver. Denver Health’s systems modification paid off, particularly for high-need patients. These innovations not only improved patient outcomes and patient and provider satisfaction, but also resulted in reductions in expected spending. Over a one-year period, the system saw an approximately 2 percent reduction in expected spending. Most of the savings were driven by a decrease in hospitalizations among patients in tier four. Denver Health’s success demonstrates the real potential of strategic models to improve care for these patients while curbing health care spending. Health systems can play an essential role in improving care for our nation’s high-need patients. That’s why we, as members of an initiative under the NAM Leadership Consortium for a Value and Science-Driven Health System, are spreading the word about the characteristics of high-need patients, the challenges they face, and the features of successful care models for this population. This initiative was conducted in partnership with the Harvard T.H. Chan School of Public Health, the Bipartisan Policy Center, the Commonwealth Fund, and publication sponsor, the Peterson Center on Healthcare. To promote improvements to the care of high-need patients, health systems should work with payers, providers, and other health systems to better identify and target high-need patients, test new practices and tools, and develop interactive electronic health records that can include functional and behavioral status and social needs. They should use established metrics and quality improvement approaches to continuously assess and improve care models and partner with community organizations, patients, caregivers, and social and behavioral health service providers outside the health care system to create patient-centered care plans. Health systems can also assess their current culture and promote changes needed to build new and successful care models, blending medical, social, and behavioral approaches. Of course, health systems can’t do this alone. At the federal level, policy makers should improve coordination among the Medicare and Medicaid programs to increase access to needed services and reduce the burden on patients and caregivers, and should continue payment policy reforms that align initiatives to incentivize pay-for-performance instead of fee-for-service models. Policy makers should also explore the expansion of programs that could mitigate the financial strain of caregiving, such as Medicaid’s Cash and Counseling—a national program in which the government gave people cash allowances to pay for the services and goods they felt would best meet their personal care needs and counseling about managing their services—and incentivize the adoption and use of interoperable electronic health records that include functional, behavioral health, and social factors. Payers can develop financing models to provide social and behavioral health services that will both improve care and lower the total cost of care for high-need patients, recognizing that even cost-neutral programs are worth supporting if the outcome is positive for patients. Providers can learn to work collaboratively in teams and engage with patients, care partners, and their caregivers in the design and delivery of care. Return on investment for most models of care for high-need patients will take time. 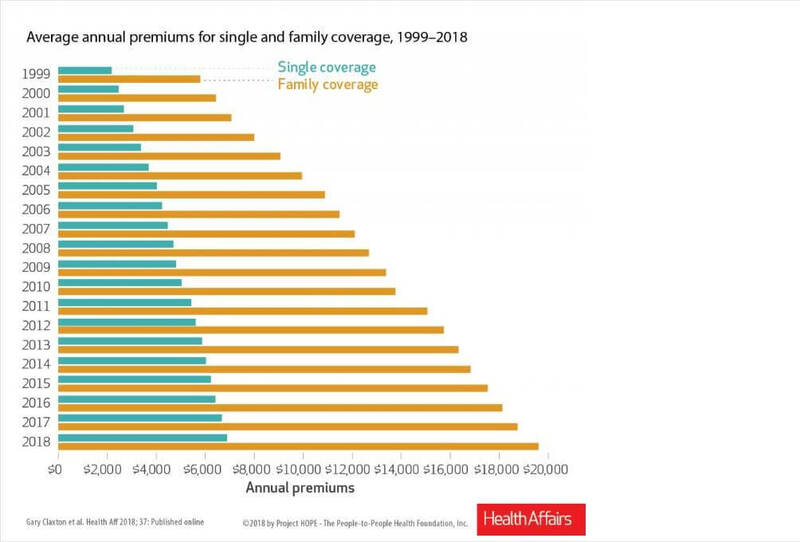 But one of the most expensive and challenging populations for the current health care system will remain underserved and continue to drive health care spending until there is a unified effort to improve their care. We know there are models that work. Now, action is critical, and while health care reform remains on center stage in the national policy agenda, the time is right. By taking the lead in the bold changes needed for this transformation, health systems can play a pivotal role alongside all stakeholders in reducing costs and improving the health of some of the nation’s most vulnerable patients.